Banpu Public Company Limited (BAK:BANPU) is a Thailand-based company engaged in coal mining and power businesses. The Company has operations in Thailand and overseas, including Indonesia and the People’s Republic of China. Banpu supplies coal through its mines in the Lampang and Payao Provinces and via imported coal from Indonesia. The Company's current operations in Indonesia are located in Jorong, Indominco, Kitadin, Trubaindo and Bharinto. 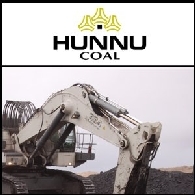 In China, Banpu has mining projects in Daning, Hebi and Gaohe.